Katelyn Dolan | Fenway Health: Health Care Is A Right, Not A Privilege. Katelyn Dolan – Fenway Health: Health Care Is A Right, Not A Privilege. Katelyn’s relationship with Fenway Health began when she moved to Boston in 2010 to pursue her Doctorate in Physical Therapy degree. Fenway provided Katelyn with an environment where she felt welcome, safe and accepted throughout her coming out journey. Her experiences as a patient at Fenway Health led Katelyn to join the Young Leaders Council, Fenway Health Dinner Party Committee, and the Steering Committee, as well as to participate in Harbor to the Bay ride over the past five years. Through Katelyn’s professional and personal experiences, she has developed a deeper understanding for the spoken and unspoken words of vulnerable populations. 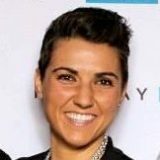 As a Fenway Health patient, medical professional and LGBTQ advocate, Katelyn has been able to recognize and develop a deeper understanding that each and every individual is unique and has their own needs and desires; that every defining characteristics of our lives needs to be taken into consideration. This understanding has further enhanced her passion for raising awareness and empowering leaders to help shape the future of the Fenway Health community. Katelyn is a graduate of Assumption College with a BA in Biology and Economics; she then received her Doctorate in Physical Therapy from Simmons College in 2014. Professionally, Katelyn began her career as an Inpatient Acute Physical Therapist at Beth Israel Deaconess Medical Center, an affiliate of Fenway Health. After two and a half years, Katelyn decided to pursue her passion in pediatrics and joined the Inpatient Acute Physical Therapy team at Boston Children’s Hospital. Additionally, she has served as the Assistant Women’s Soccer Coach at Massachusetts Institute of Technology.